This is awesome! Thank you so much for sharing---I can't wait to try out this tutorial! Love this! Adding it to my list of must makes before my vacation this spring! Thanks for sharing. It looks great! I can't wait to give the tutorial a try. Thanks. I am your newest follower and I would love to invite you over to visit my blog. Very cute Heidi! Pinning this one for sure. This is SO awesome! Love it! That is also one of my fav movies...I love them both - great witty pair together! Thanks so much for the beautiful tutorial! I am going to make one of these... it looks so cute! Thank you for sharing this tutorial with us! The bag is adorable! Love this. It would make a perfect little bag for my baby's things for childcare every day. I haven't made a bag in ages. Think I might give it a whirl!! 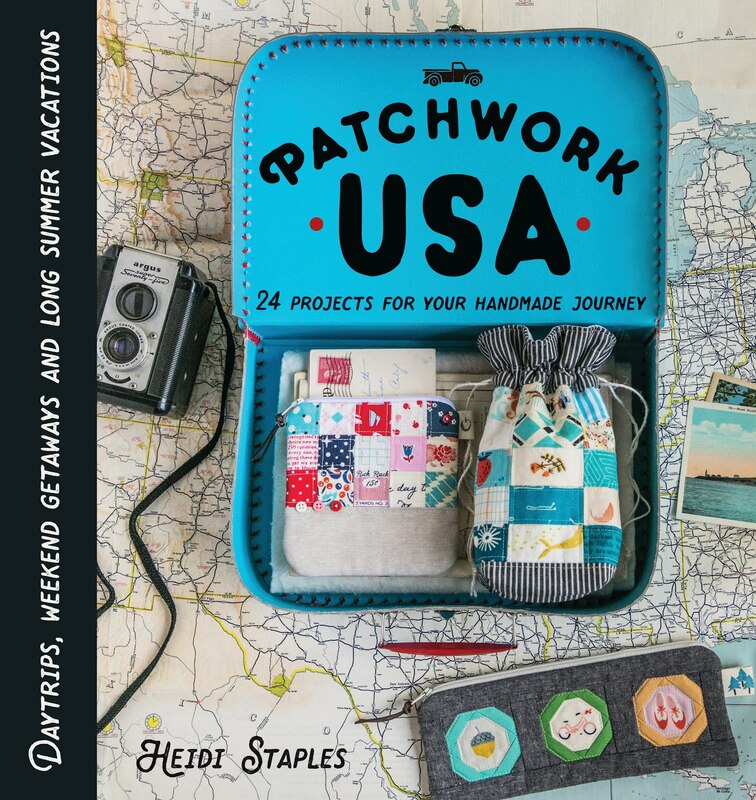 Putting this on my "want-to-make" list :) Thanks for sharing a great tutorial! What a cute bag. There may be one in my future. Thanks for taking the time to share a tutorial. Please tell your friend that I have never found anyone who spells her name the same as I do but now I know that there is someone out there who does. This is the cutest bag ever!!! I may have to watch the movie too hehehe;) Thanks for sharing! So cute Heidi! I am pinning this to make for this summer. Love this, Heidi! I'll have to make one. It's too cute not to! Okay, I have to eat lunch and dash to my sewing machine right now to make this. Love love love it! The size is just perfect. I hope I have a zipper on hand so I don't have to get out in the cold and hit Hobby Lobby today. Thanks so much! Love it! Can't wait to give it a try! Hi Heidi, This looks awesome. I am thinking of using an inuslating lining and using it for a awesome lunch bag. Thank you for posting the tutorial. I love this tote and you did a great job making it. I'm going to try one! I'm enjoying following you on Instagram! I too am doing the counted cross stitch blocks! Great tutorial! You done good! Thank you so much for this amazing bag tute! Love this bag! Came across it on Pinterest. Thanks for sharing! I will post a couple of pics on your Flickr page too! Thank you! Thanks so much for this sweet bag tutorial ~ love it! I'll be making a few as gifts and, of course, one for me! This is really cute. A great gift idea for me, and my DILs, too! How have I missed seeing this before now? I adore this bag style and can't wait to try one out for myself soon! Great instructions, and you make it look easy. Such a swell design! Thank you for the terrific how-to. Love!!! It's a beautiful bag!!! Thanks for this tutorial! Awesome pics and very nice tutorial to aware many girls how to make their travel plan. Hi dear, thankyou so much for sharing this wonderful tutorial...it's not only described well..but also picturised perfectly! I trie this one and trust me..it came out wonderful ..I want to make two sze bigger in the same one..can u help me with the dimension? And the zip size?? Wow what a goregous bag! Thank you very much for sharing your design Heidi. I'm new here my name is Julie and I hail from Adelaide, South Australia. 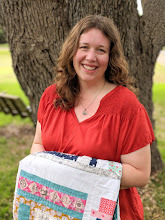 I've just started getting your blog to because of the free pattern you shared with Pat Sloan and I believed your someone who I should get to know! I've decided to make your bag for a birthday present for someone I love dearly. Thanks again Heidi and will be happy to show you my pictures once made. Being on a resticted budget I have to get things slowly as budget allows and put them all away until I gotten everything to start sewing. Will email you again as I grow to know you! So far so good great tutorial will also help me when I start making your bag it's now a favourite!!!!! Happy quilting Julie Beard. Hi, I'm from Brazil, I loved your blog, made two travel grants based on its own tutorial. Thanks for sharing. This is too adorable! I have to make one of these. Thank You for the tutorial. Heidi! I just finished my first bag and although it was a bit fussy, I did expect that, it turned out wonderful!! I will make more and each one will get easier!! Thank you for this wonderful tutorial!! Thank you for the well illustrated pattern, I intend to make one very soon. Nice!! Will have to buy more fabric before making this!!! Thanks for the tutorial!! Any suggestions on how to scale it for a bigger bag? Rachel I am in the process of making one today. The finished dimensions will be 9.5" high x 9.5" wide and 6 inches deep. My exterior fabric upper panel is 15" w x 9.25" high. The bottom panel (lower accent piece) is 15" w x 6.50" tall. Next time I will make this panel 1 inch wider than the top panel to compensate for the zipper tape width on the top panel (you'll see what I mean after its sewn together). I used the same 2 1/4 inch squares for the boxed corners as in the tutorial. You could go with 2.5" or up to 3" cut squares if you want the bag to sit deeper and lower. I wanted mine tall enough to fill with my bottled hair products. The lining is 15" w x 16" high. I'm adding an elastic band to the interior panels to hold my bottles in place. I am using a 22" zipper which is perfect - this will start and end at the lower accent bottom panel on the sides. I'm actually going to sew two zippers together making the same 22" size so it's more like a two way zipper at the top since there are no zipper pulls in this design and I want my zipper pull to sit at the top of the bag and not the side. I think fabricmutt did this with some of her bags. My handles are 24" long but probably could be a few inches longer -- I sewed the bottom of the handles under the bottom accent panel (like a tote bag) and all the way up instead of just attaching them at the top. it so its waterproof for all my goodies. Great design, and I'm excited to make more and play around with different sizes. I love it!!!! I am very gratefull for your fantastic tutorial. Thank you!!! Thank you for the tutorial. I finished mine yesterday. 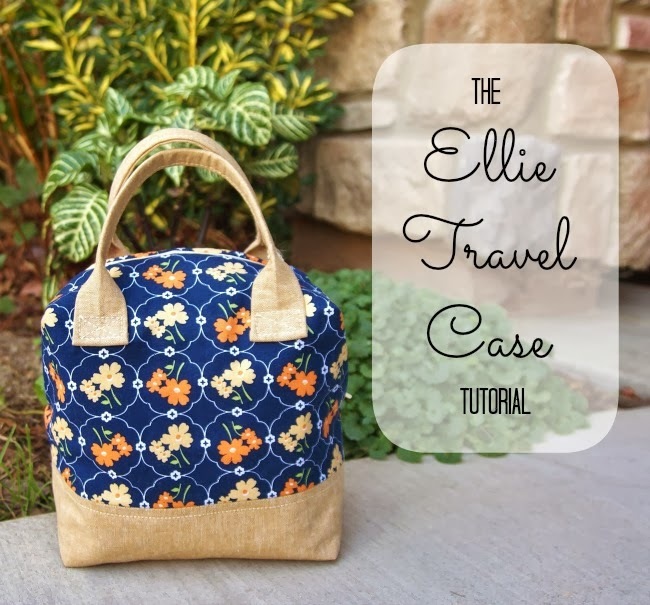 Now I'm off to make the Ellie Overnight case and a matching zipper pouch. A cute 3 piece set. I've just made one of these and can confirm the instructions and easy to follow and accurate. I'm very pleased with my make.